Today we dyed eggs and had a blast doing it. 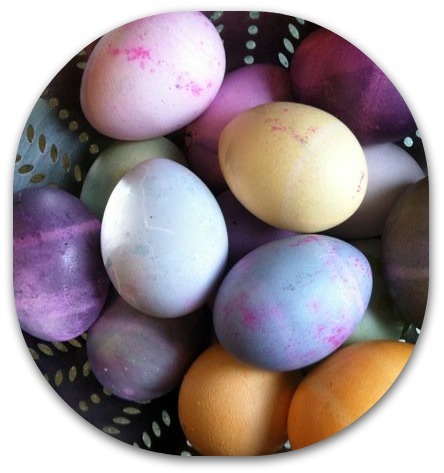 Being the slacker mom I am I forgot to buy Easter egg dye. I mean I hate those little pellets, and I knew I could find a better way to do eggs this year. Food dye. I use gell dye and just kind of put a big old glop in but if you are using liquid food coloring twenty - thirty drops is a good amount. Now dye those eggs. It didn't come out as a smooth singular color like the tablets that you buy, but I like the look, I had everything on hand, and there was no packaging to discard afterwards! Have a great eco-friendly Easter.